How to activate your card and start your next fine dining experience? 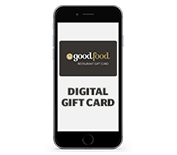 Lucky you, you've received a Good Food Gift Card. Please select your card type and follow instructions to activate.